Mr. Allen K. Powell, 77, of Williamsport, died on January 22, 2019. He and his wife, Linda L. (Corter) Powell, observed their 53rd anniversary on August 14th, 2018. Born October 7, 1941 in Williamsport, he was a son of the late James W., Jr. and Rachel E. (Miller) Powell. Al was a graduate of Williamsport High School. He began a 44 year career in the mail room with the former Grit Publishing Company, now Webb Communications retiring in 2006. Mr. Powell had been an avid bowler for 25 years and was a member of the Susquehanna Chapter 700 Club. He also served as a manager and coach of Newberry Little League Girls Softball for more than 25 years. Mr. Powell started coaching his daughter, Denise, and then his granddaughter, Mattie. He coached many championship teams through the years. He was an avid football, basketball and baseball fan but most of all an avid NY Yankees and NY Giants fan from the time he was a teen. Al enjoyed all types of music especially listening to the radio and family trips to the beach. Surviving besides his wife, Linda, are two daughters, Denise L. Reiley (Joe), Williamsport and Kelly A. Barnfield (Tom), of South Williamsport, a brother James W. Powell, III, of North Carolina and a granddaughter, Mattie L. Pulizzi (Andrew), of Montoursville, a grandson, Shea O. Reiley, of Williamsport, two great grandchildren Geno and Capria Pulizzi, as well as several nieces and nephews and a large extended family. 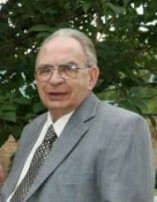 In addition to his parents he was preceded in death by a son, Scott A. Powell, in 1997. A funeral service to honor the life of Allen will be held 11 a.m. Saturday January 26 at Sanders Mortuary 821 Diamond Street, Williamsport with Rev. Brad Walmer. A viewing will be held from 10 a.m. until the time of service on Saturday. Burial will be private at Wildwood Cemetery. The family will provide flowers and suggests contributions in Allen’s name be made to St. Jude’s Children Hospital, 501 St. Jude Place, Memphis, TN 38105 or New Covenant United Church of Christ Memorial Fund 202 East Third Street Williamsport, PA 17701.